Today we'll be talking about Krita. 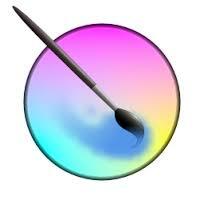 Krita is a program that, just like Paint Tool Sai, is specifically made for digital painting. Krita is absolutly, 100% free. This program is a lot like Sai where it's customization of brushes is really well done. You are able to create new brushes, save presets, as well as import downloaded brush settings whenever. I've found that some of the brushes give you a realistic feel when using them. Krita also allows you to use filter effects. The UI is flexible to what the user really wants and needs. From my experience, unless if you save the brush preset, when switching between brushes the settings reset. Since there are no names on the brushes just icons, some look very similar and I can't find, or remember what brush I was just using. There have been instances where I tried using the larger sizes of brushes and the program has lagged or slowed a little. There are features that need to be worked on but a nice thing about Krita is that it is always improving. The creators are taking the feedback they get and are working on improving Krita as best they can. What do I do and what do I recommend? I just started using Krita recently and I definitely enjoy it more than Photoshop. I use this program sometimes from start to finish on a piece but sometimes I use it for the line art or coloring process of my artwork. I recommend this program for artists who want something that's like Photoshop but more designed for digital painting.